FAQ and Articles - How to select correct laptop screen. HomeFAQ and Articles	How to select correct laptop screen. 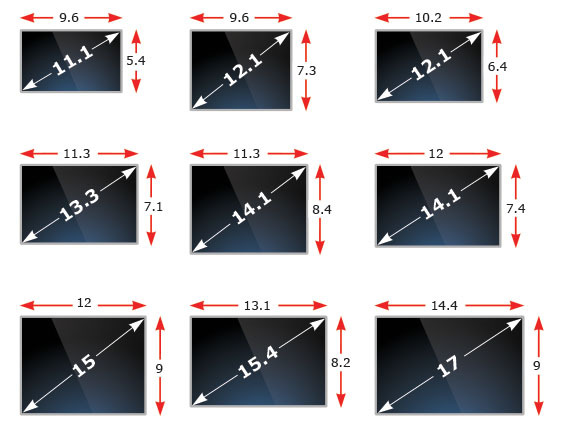 Characteristics of the screen are determined by three important parameters: size, resolution, and connector type. 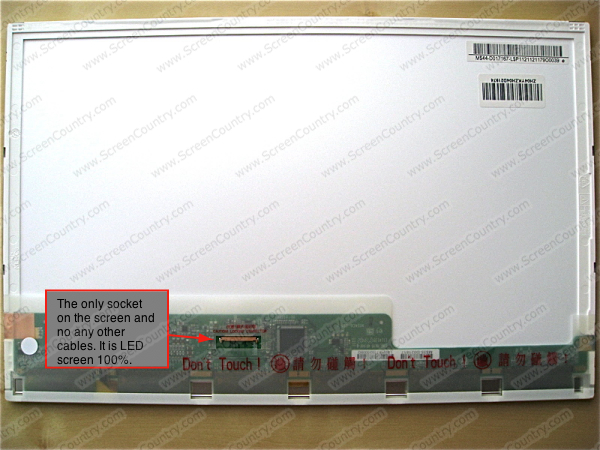 The most reliable way to choose the correct screen is the model number of the old screen, which is written on its back. 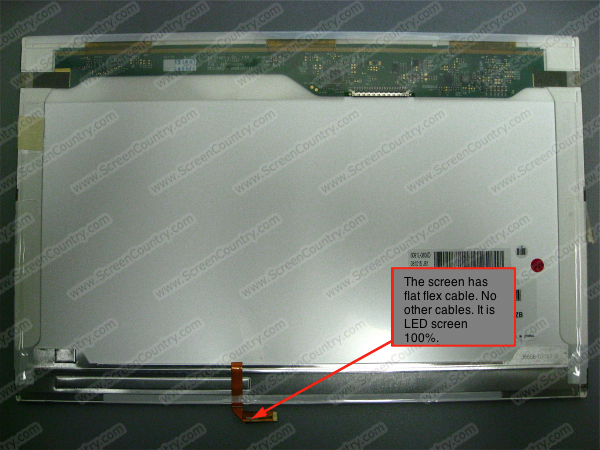 Model number of the screen will provide 100% compatibility in size, resolution, and connector type. You absolutely need to know the size, resolution, and connector type. The same laptop model may use different models of screens that differ in size, resolution, and connector type. For example, the Compaq R3000 was released with two different screen sizes 15" and 15.4", which are obviously not compatible with each other. MacBook Pro 15" can have screens with different resolutions, and they are just not compatible with each other. Please make sure that your old screen is the same size, resolution, and connector type as the one you are buying to replace it with. We would like to point out that notebook manufacturers have been slow to disclose this information, even in cases where they post it on their website - it may not be accurate enough (as we noted earlier), so the most reliable way to select the right screen - is to know the size, resolution and connector type of the old, or just the model number. One exception to the model rule are computers from Dell, screens for those are best identified by the Service Tag Number. 1. How do I know the screen resolution? IMPORTANT! Please check the screen resolution before you buy! Screen resolution may be different for the same laptop model. Make sure that the screen you are buying has the same resolution as your old one. 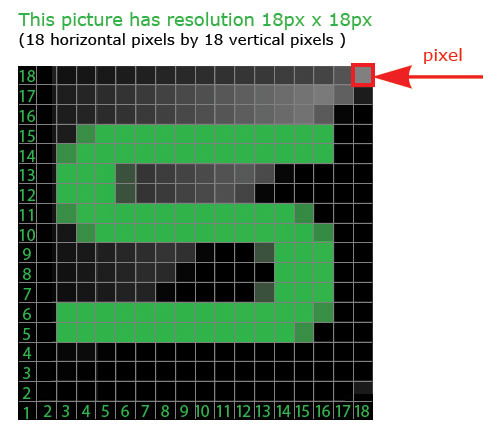 Resolution - is the maximum number of pixels of your screen. "W" - means wide-screen aspect ratio of 16:10 or 16:9. If your screen resolution is 1366 x 768, it means that the screen has 1366 pixels horizontally and 768 vertically. - Refer to your notebook manual. It should be, as a rule, in the specifications section. - If the manual is not available, take a look at the manufacturer's website and search for the laptop specifications in the support section by using the serial number and model of the laptop. - If your computer is running, you can check your resolution online. Please note that this site shows the correct resolution only if you do not change the factory settings of the screen in Windows or Mac OS. On-line Resolution Check. - And finally, the most reliable way to make sure what screen is for you is by the model number of the old screen, which is written on it's back. You can do a search on the model of the screen on ScreenCountry.com to find out the actual specs for size and resolution. 2. 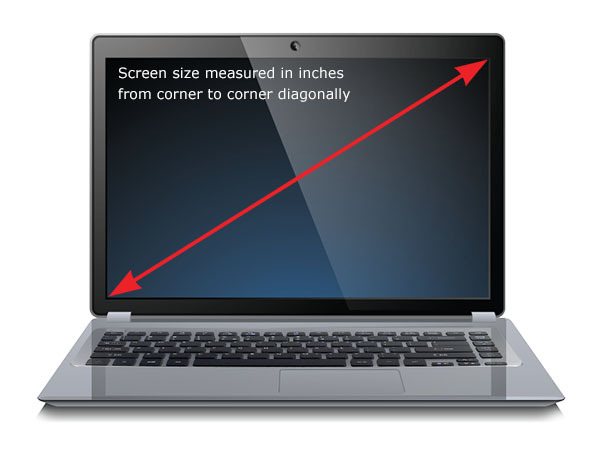 How to measure the size of a laptop screen? Screen size is measured in inches diagonally. 3. Make sure that you new screen has the same Connector Type as your old one! 30-pin connector is the most common style in use today. It can support non-touch screens up to a resolution of 3,840 x 2160. 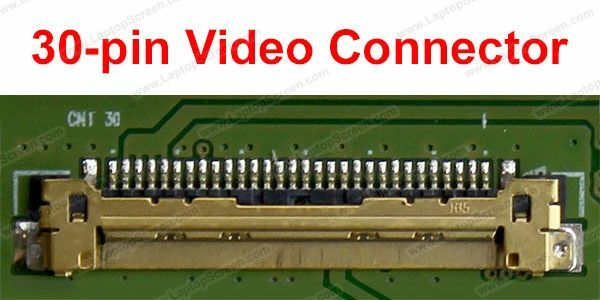 40-pin connector is used in modern touch and high resolution screens, but it was also used in older LVDS screens from 2010-2015. There are used to be two different types of backlight: CCFL (discharge lamps) and LED (Light Emitting Diods). These two types of backlight are incompatible. In the past it was important to know backlight type of your screen. 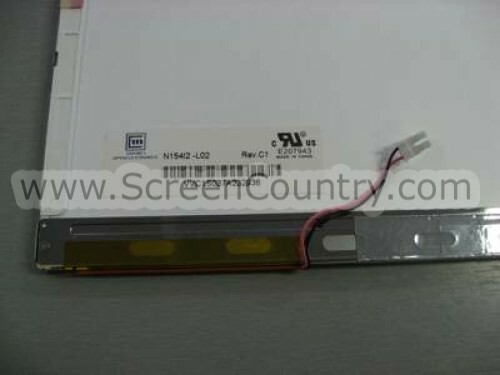 However if your laptop was manufactured in 2011 or after it is almost certain that you have a screen with LED backlight. CCFL technology is now obsolete. 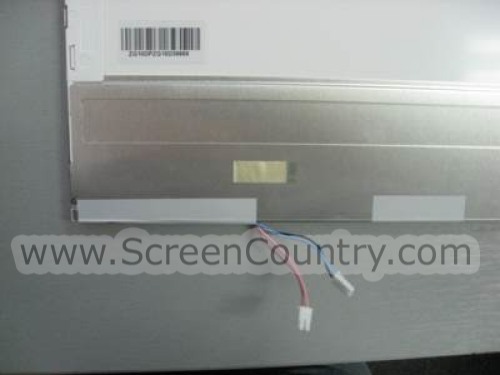 Screens with CCFL backlight required high voltage inverter to light up those ancient CCFL bulbs. Some even had two bulbs thus two inverter where needed. LED backlight became widely used starting in the early 2010s. It consists of Light Emitting Diodes. So the screen does not need the inverter and typically has only one connector for a video cable. LED screens do not require inverters.